Lindsay Davis grew up on his family’s ranch west of Rocksprings Texas. Like most cattlemen in the area, he tasted some of the best barbecue in the State of Texas. As owner of Alamo Commodities in San Antonio, Lindsay has always enjoyed cooking whenever the opportunity presented itself and has participated, with great success, in many barbecue cook-off competitions. After many years of mixing and re-mixing, he finally came up with a winning combination of ingredients. His family and close friends have convinced him to begin mass-producing his ‘Special Formula’. Through these many endorsements of friends, family – and even strangers – his new endeavor was launched in the family kitchen in Rocksprings. With the help of his son, Gabriel, the ‘Special Formula’ is now manufactured under the name of Alamo Cattle Co., Inc. ‘Special Formula’. This new seasoning can be found on shelves in certain Rocksprings stores; however, the response has been so tremendous, they have expanded. 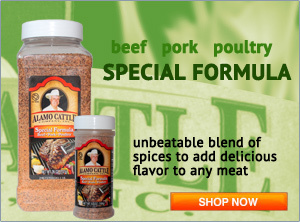 Now Alamo Cattle Co., Inc. ‘Special Formula’ can be found in many south Texas stores. 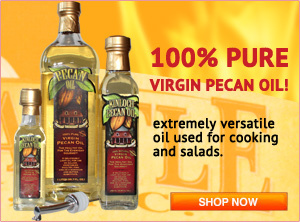 By following the recommended recipe on the label, this seasoning has proved to be a huge hit with consumers. Lindsay states, ‘When you try my ‘Special Formula’ I am sure you will enjoy it as much as my family and many friends have through the years. Since we have started marketing our seasoning, I am proud to say that we are in over 600 independent stores, butcher shops, and specialty stores, including our hometown H.E.B. 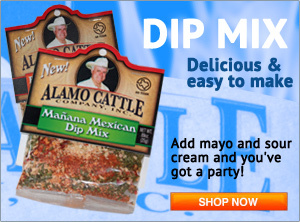 We will gladly fulfill any bulk order. Please contact us so we can get to work.